Disodium ethylenediaminetetraacetatic acid (EDTA) and other EDTA salts — such as calcium disodium EDTA and dipotassium EDTA — are chelating agents that are primarily used in the production of various cosmetic and personal care products, processed foods and other industrial products. The chemicals are used as absorbing agents and preservatives to avoid foul odor and discoloration. 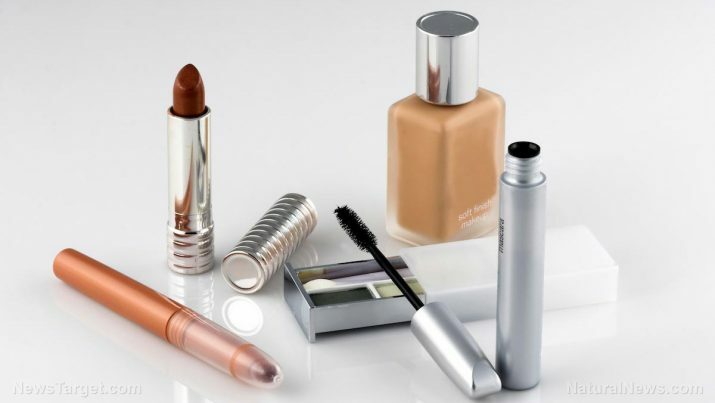 According to the Cosmetics Info website, disodium EDTA can be found in moisturizers, bath soaps, shampoos and conditioners as well as many other processed food products including sodas, mayonnaise and canned foods. The salt variant is also often used as an additive in a variety of food products such as chicken nuggets, marshmallows and pudding. The chemical is crystalline powder in form and is often sold as aqueous solutions. Disodium EDTA primarily targets the heart and the circulatory system. Exposure to the toxic chemical is known to trigger the onset of cardiovascular conditions such as palpitations and hypotension or low blood pressure. Likewise, an article posted on the Your Health Remedy website reveals that the harmful compound may negatively affect muscle health and cause malaise, general weakness, numbness and myalgia or muscle pain. The entry adds that ingesting the chemical may result in thrombophlebitis, a condition characterized by blood clot formation in the veins. The article has also noted that disodium EDTA is closely associated with central nervous system issues. According to the article, the chemical may induce headache, dizziness, and fainting. The article adds that exposure to the harmful substance may lead to the development of severe skin allergies, fever, and nephrotoxicity. Moreover, an entry published on the Food Sweeteners website reveals that ingesting disodium EDTA may wreak havoc on the digestive tract and cause a plethora of related illnesses like gastrointestinal tract irritation, abdominal cramps, liver damage, and nausea as well as vomiting and diarrhea. Furthermore, the chelating properties of disodium EDTA are known to cause deficiencies in essential nutrients including vitamin C and vitamin B complex. This, in turn, may lead to the onset of reproductive and developmental disorders, gum inflammation and slow wound healing. The chemical is also found to be cytotoxic and carcinogenic in nature. Disodium EDTA is primarily detrimental to the heart and the blood circulation. Likewise, the carcinogenic chemical is found to affect muscle strength and compromise the central nervous system’s overall health. The toxic compound is also known to negatively impact the digestive tract and the kidneys. In addition, the hazardous substance may weaken the immune system and affect the reproductive health. Disodium EDTA is also notoriously harmful to the skin. Disodium ethylenediaminetetraacetate is associated with palpitations and hypotension or low blood pressure. Disodium ethylenediaminetetraacetate may cause malaise, general weakness, numbness and myalgia, or muscle pain. Disodium ethylenediaminetetraacetate triggers gastrointestinal tract irritation, abdominal cramps, liver damage, and nausea. Disodium ethylenediaminetetraacetate exposure results in thrombophlebitis, severe skin allergies, fever, and nephrotoxicity. Disodium ethylenediaminetetraacetate is primarily detrimental to the heart, the muscles, and the digestive tract. Disodium ethylenediaminetetraacetate may compromise reproductive health, the immune system, and the kidneys.